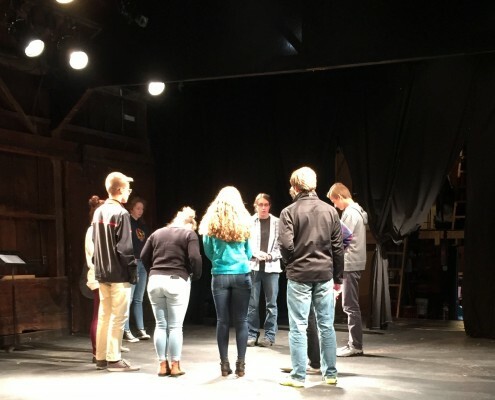 Westport, N.Y. – The Depot Theatre welcomed more than 20 students from Westport and Willsboro Central Schools for its pilot Apprentice Program Theatre Arts Workshop on Monday, Oct. 5 in Westport, N.Y. 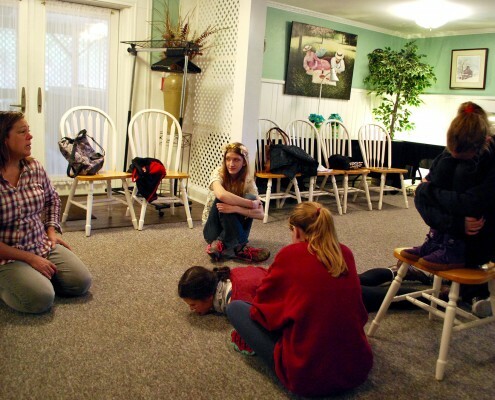 The Apprentice Program Theatre Arts Workshop is part of the Depot Theatre’s education outreach programming. 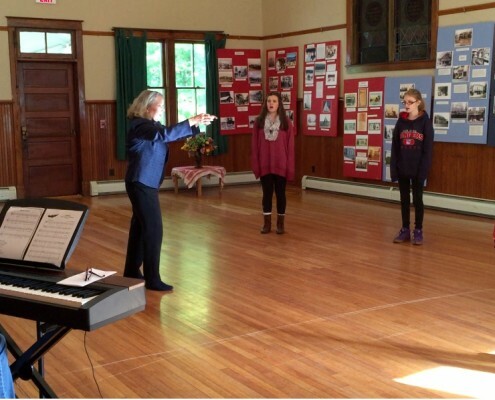 The workshop was a pilot program that followed the 2015 Young Actor Apprentice Summer Program; a fun, challenging professional theater training experience that began in July and culminated with performances in Elizabethtown and Westport of “The Lion, the Witch and the Wardrobe” by a group of local young actors on August 7-9. The Apprentice Program Theatre Arts Workshop consisted of a day of hands-on workshops led by professional artists in various aspects of theatre, including technical production, Shakespeare and stage acting and audition/voice. The students were divided into three groups based on age, and rotated between each of the disciplines throughout the day. Workshops were held in spaces at the Depot Theatre, the Heritage House and at the Westport Hotel, where the group also enjoyed lunch. Each workshop session was led by a Depot staff member or volunteer, including Lindsay Pontius, expert in theatrical training and education director at Town Hall Theater; Margaret Swick, master electrician & lighting designer; and Alisa Endsley, Broadway singer, actor, vocal teacher and Depot Theatre trustee. They were supported by Westport teacher Heather Olson and Willsboro teachers Derrick Hopkins and Jennifer Moore, and Erin Harrington, business manager for the Depot Theatre. For more information about The Depot Theatre visit depottheatre.org. 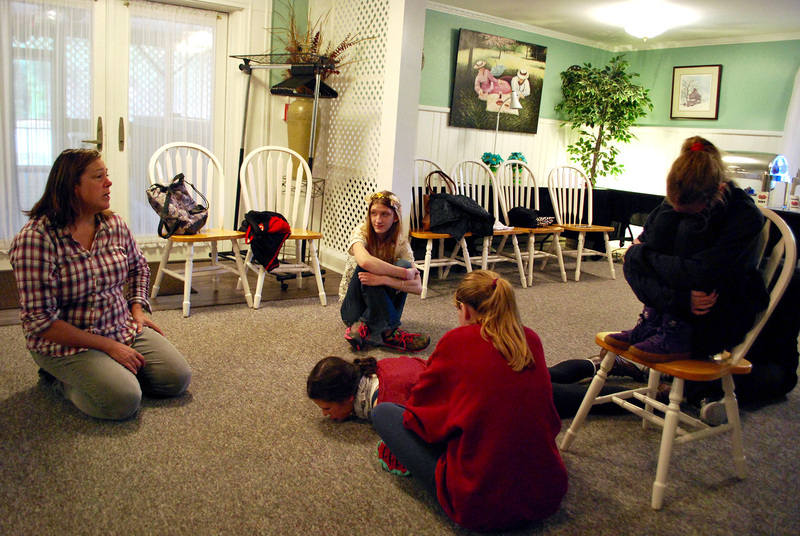 Lindsay Pontius teaches students about Shakespeare and stage acting in a room provided by the Westport Hotel. ABOUT THE DEPOT THEATREThe Depot Theatre is a non-profit, professional theatre located in a historic, functioning 1876 train station in Westport, N.Y., and operates under an agreement with Actors’ Equity Association, the Union of Professional Actors and Stage Managers in the United States. In addition to its volunteer board of trustees, the theatre depends on the support and generosity of its loyal donors, volunteers and community members. Committed to promoting and providing exposure to the performing arts in the Adirondacks, the Depot Theatre invites all to “Take a journey without leaving the station.” The Depot Theatre’s 2015 Season is made possible by the New York State Council on the Arts with the support of Governor Andrew Cuomo and the New York State Legislature. Additional support is provided by the Essex County Arts Council.